YAAAY for pasta day!! And big YAAY for Spring/Summer fresh pasta dishes like that, like an extra breath of freshness in life! Weather hasn’t been as warm as I’d like it to be lately, but frankly, we’ve been getting plenty of sunshine in MI so I won’t complain! Kids are playing outside every day, like every-day. My BBQ is in full swing, grilling about twice a week! 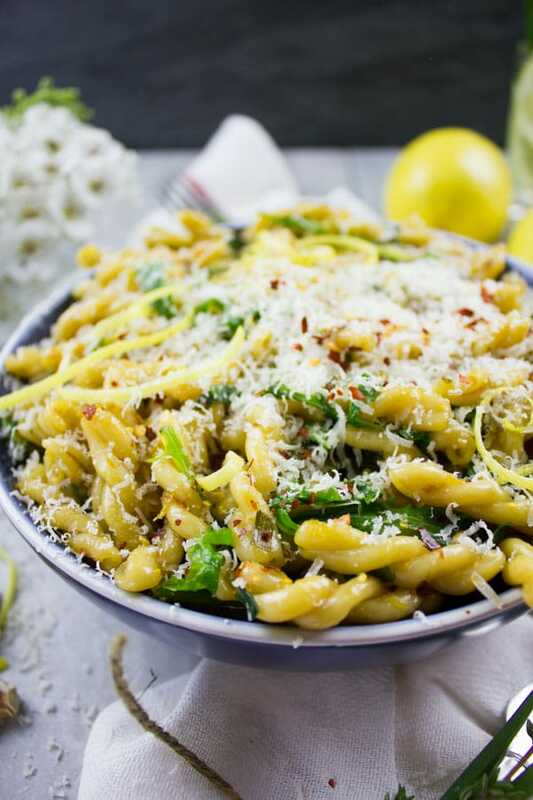 And I can’t think of a perfect side dish for grilling season better than this lemon pasta! 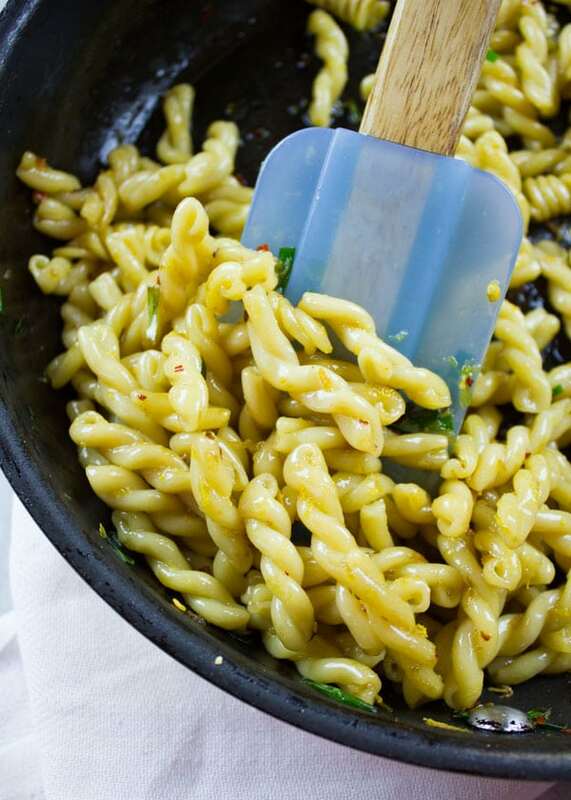 My lemon pasta recipe is so incredibly simple. But yet, it makes for an especially elegant dish! 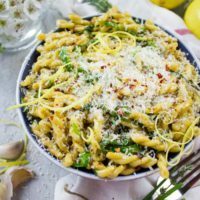 This easy garlic lemon pasta with arugula comes together within minutes and is popular with kids and adults alike. Serve it warm with grated parmesan or as a pasta salad alongside some chicken or tuna! 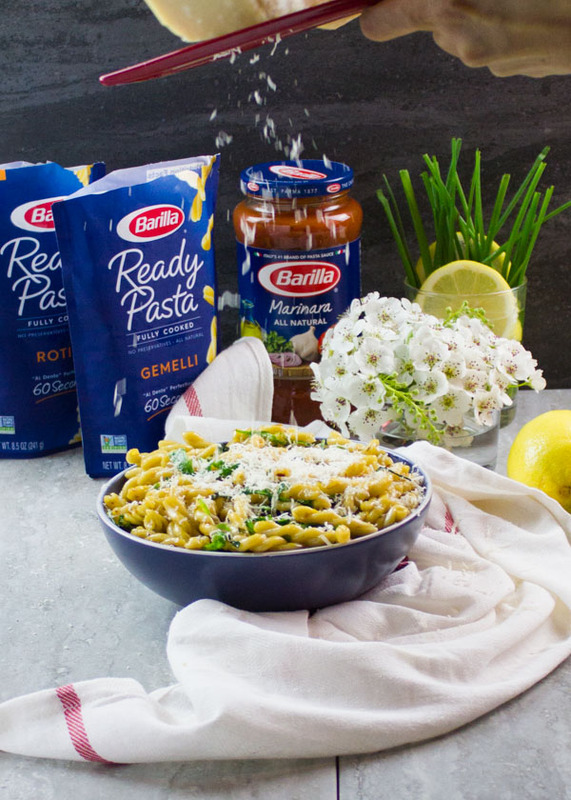 The beauty of this garlic lemon pasta is that you can customize it to your menu. What I made today is probably the most basic form, but the additions you can add to jazz this lemon pasta up are endless! My Mom loves pasta with minimal fuss, no fancy sauces or tons of additions to her pasta—so she wouldn’t change a thing to this recipe 🙂 And honestly, you don’t have to, unless you wanna make it more often. Then you’ll like to play around with ingredients. This bright and zesty pasta dish would, by the way, be perfect for Mother’s Day! Start by sauteeing some minced garlic, lemon zest, and chili flakes in olive oil. Add in the cooked pasta, a handful of arugula, a touch of grated Parmesan and it’s ready!! 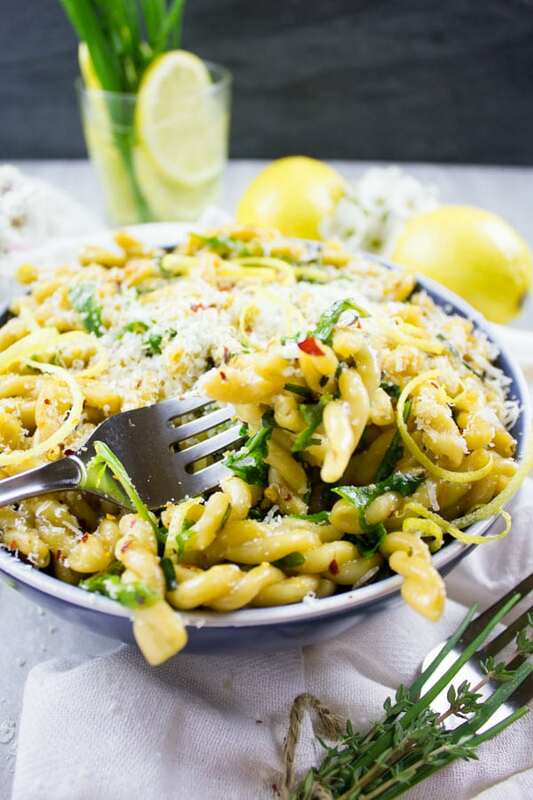 This lemon pasta is amazing as it is, but you can up the protein by adding some tuna. YES good old canned tuna, drained and added in chunks over the pasta. A nutritious pasta lunch or dinner that’s super delicious and comforting! I probably could eat this lemon past every day. 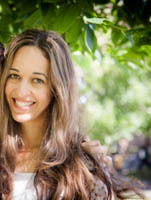 If you’re thinking of a vegan/vegetarian option, go for chickpeas, navy beans, black beans, and even tofu as add-ins. They add pretty much the same protein, yet totally vegan. 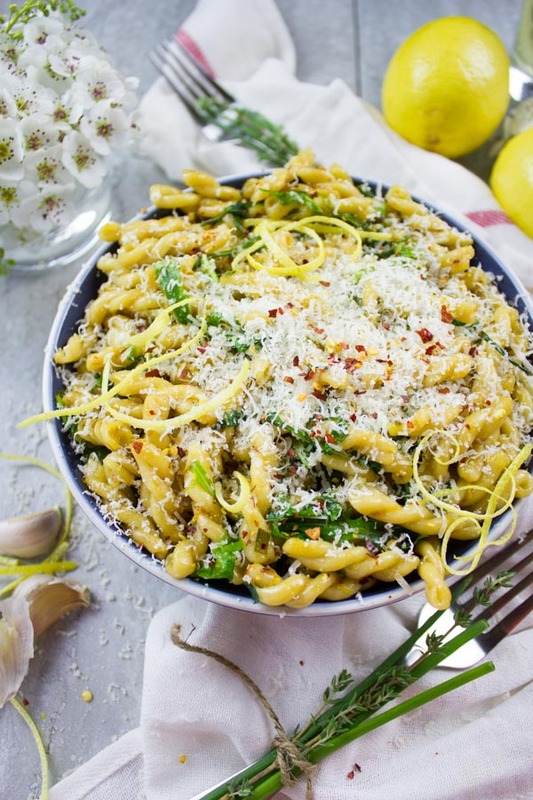 Another thing you can do is make this awesome lemon pasta and serve it warm or cold, like a pasta salad. While it has a nice punch of garlic and lemon flavors, you can still drizzle it with a bright lemon-olive oil-basil dressing to just brighten it up even more. I would add cherry tomatoes, some cucumbers, scallions, chickpeas, and basil. Pasta Salad Perfection. 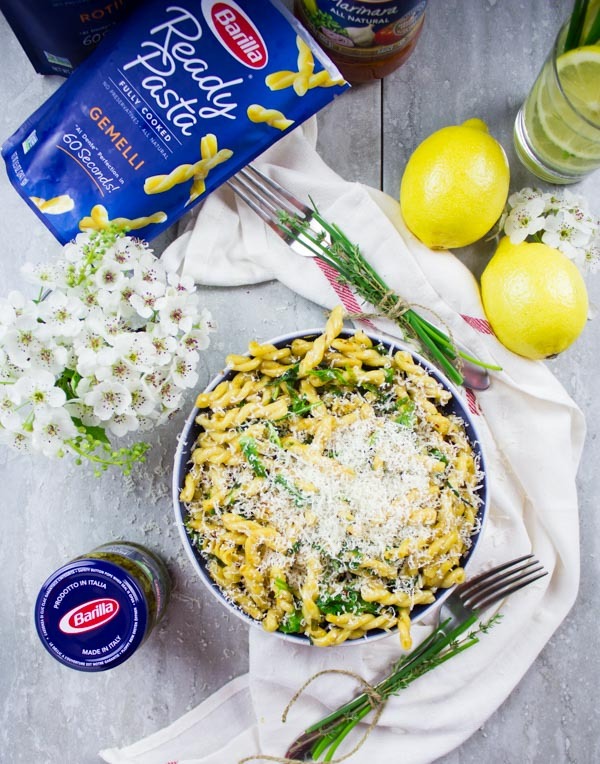 Trust me, this lemon pasta will definitely make its’ way into your life so many times this season! 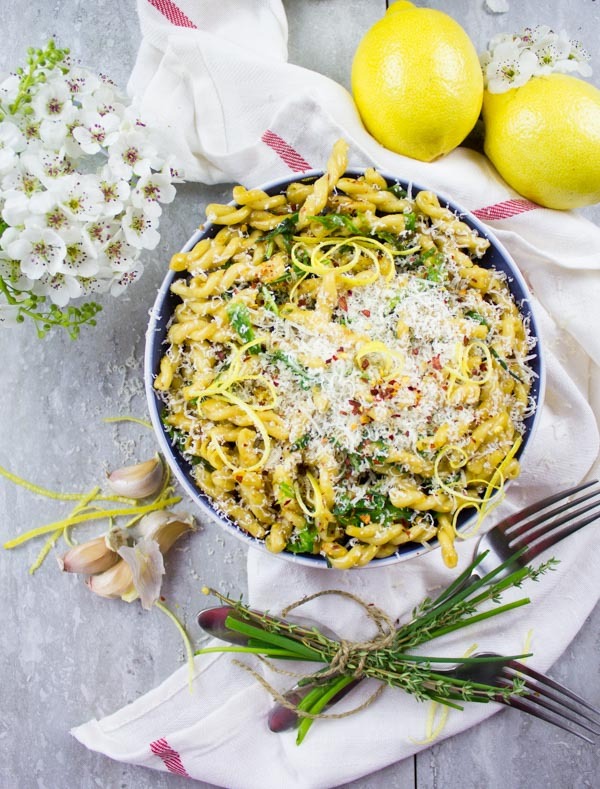 Served as a pasta salad, this lemon pasta is the perfect easy recipe for potlucks, picnics, work lunches, and just every day make-ahead dinners! The other day we had our first picnic of the season and it was at a friends’s farm. I made plenty of lemon pasta (minus the chili flakes), put it in a box and we went off. When it was lunch time, everyone got excited about pasta. But the best part was watching how everyone ate their pasta! Some kids and adults ate the garlic lemon pasta just the way it was. Another group added a handful of cherry tomatoes, bocconcini and a squirt of lemon. Some added grilled chicken, more Parmesan or herbs. Everyone basically made this pasta dish their own, which was amazing because the bottom line was that everyone enjoyed it so much!! Oh and I’m sure you will too!! Think of this pasta as a canvas – you can add more veggies, cheese, tuna, chicken, chickpeas – whatever you want. Pasta purists will love it plain, fresh out of the skillet, with a grating of parmesan cheese and some lemon zest on top. This lemon pasta can be served cold, as a pasta salad. Leftovers can easily be turned into a salad by drizzling it with a simple lemon juice & olive oil vinaigrette. Prepare the pasta according to instructions on the box. In the meantime, heat a skillet over medium heat, add the olive oil, garlic and lemon zest. Sautee the garlic and lemon zest for a few seconds until they get fragrant, add the chili spice, the pasta, and salt. 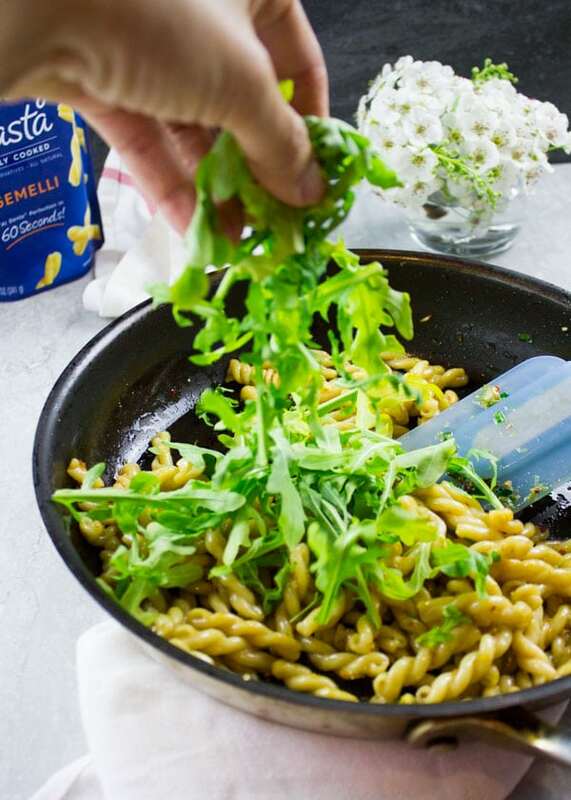 Toss the pasta with all the fragrant garlic and lemon, then add the arugula and toss the lemon pasta for another 30 seconds over medium heat and then serve it right away! Sprinkle with Parmesan and extra lemon zest (if needed). Enjoy! Think of this pasta as a canvas - you can add more veggies, cheese, tuna, chicken, chickpeas - whatever you want.